Airdrieonians v Dumbarton and Edinburgh City v Albion Rovers will go ahead following pitch inspections on Saturday morning. Five Scottish Professional Football League games were called off on Friday amid freezing temperatures. 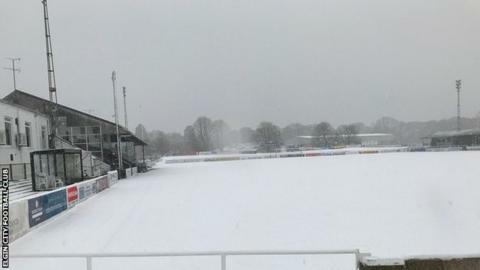 And Saturday's Challenge Cup tie between Bohemians and East Fife was also postponed because of a frozen pitch. There are four Premiership games and five in the Championship on Saturday. Airdrie's match is one of three in League One and Edinburgh's is the last remaining fixture in League Two with all games at 15:00 GMT.